The Motoscape Banger Rally has been carefully improved year on year to really give participants a trip to remember. If you are one of the lucky ones who have your place confirmed, well done because the rally is now full. Think large, luxury gas guzzler versus compact simple and economical. If you want outright luxury then choose an old Jag or Mercedes and make sure you have deep pockets for the fuel though. Alternatively maybe choose a Ford Fiesta diesel or a smaller engine Japanese saloon such as an old Nissan Sunny, the fuel goes a lot further in these vehicles. This is a great way to really feel part of the rally as most people make a fantastic effort from mock race cars, the General Lee, fury animals and more. We have seen a fantastic selection over the years (have a look at photos for inspiration). Can you come up with something totally different, how far can you push the boundaries? Winner of the best banger design gets £100 cash prize and the coveted title of “Banger of the Year 2012”. Please be aware though, sharp sticky out bits to the front of cars are not legal in most countries (think pedestrian safety) and external sirens are also not legal in Europe, so don’t have them on show unless you want unwelcome attention from the Feds!!! Check the car thoroughly its going to get hammered constantly for at least 5 days up and down mountain passes and on the derestricted Autobahns in Germany. Therefore breaks, clutch, gearbox and cooling systems need to be in tip top condition, driving up and then down the Stelvio pass is a completely different experience for both the driver and the poor old car to visiting your local supermarket for your weekly groceries!!!!! Many of the teams raise money for their own individual charities, both local and national. If you have a charity close to your heart why not raise some money for them!!! Send us an email with your story and we will feature on the website. Most charities will give you help and support plus local newspapers / TV will generally love to cover your journey (if you require a Motoscape Banner for photo shoots, just let us know and we will send one by post completely free) all we ask is to send a copy of the article. b) Park in supermarket car parks (with suitable permission) and ask people to make a donation for signing the blank car call it modern art or just graffiti. It certainly gets the money flowing; one team raised over £5000 using just this method last year! c) Ask local businesses in the car industry to donate car parts, accessories, tyres or general servicing. Other local businesses may be willing to give a cash donation in exchange for a banner bearing their name strategically located on the car. e) Friends, family, neighbours and work colleagues are always a good source of sponsorship particularly if you do a blog or regular Facebook updates so they can see your progress throughout the rally. We hope this gives you some good ideas and tips on the build up to rally. Don’t forget, when the rally is taking place Motoscape will be doing daily blogs and facebook / twitter updates so make sure you get all your friends and family to follow us too so they can see how you’re doing on the rally! We keep everyone updated during the course of the rally along with all the latest photographs showing all the action. Any questions just call us on 0113 282 3181 or email us at contact@motoscape-rally.co.uk, we are here to help! Following on from our blog last week from Team Grayson, here’s an introduction blog from another team on this years banger rally, Team ASDA. OK, so here it is! The first Blog of many (Hopefully)! This is the start of my 2012 Adventure! At the end of last year I came up with this wacky idea of doing a banger rally, cos y’know, it sounded like a good idea at the time. So here we are, 3 months down the line actually properly starting it! 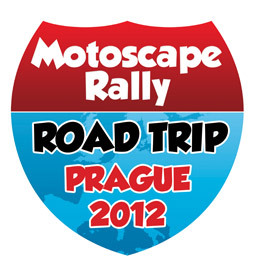 We are registered on www.motoscape-rally.co.uk under ASDA. (yea, I know, I’m sad, I had to put something though!) Hopefully will get that changed soon enough. Anyway, as I was saying, we are 3 months down the line, registered and now looking at raising £10000 for charity. Tickled Pink, Everyman, Cash for Kids and The Jasmine Foundation. The Banger rally we have chosen is covering 10 countries in 7 days, although we are covering 12 countries in 10 days as we are starting form ASDA Bridge of Dee on the 1st September and are planning on stopping at a few stores on the way down to raise some more cash. At the start I said I would like to start a blog to let everyone know how things are going and also to inform anyone else who is thinking on doing something like this so they can learn from our mistakes! So at the moment we are just raising some PR about the whole event but that’s not to say we haven’t raised some money. We raised a whopping £21 so far! Granted its not a massive start but we raise that every day we will have over £3000! Thankfully we are hopefully going to be raising more than that. We have a number of bag packing days that are going to be happening throughout the year with the first one being on Friday the 10th Feb. Anyone willing to help out at any of these please see myself, Lewis Millar or Darren Reid or drop us an email. Any help would be greatly appreciated. We don’t have a car at present but the hunt is certainly on! Once we have it I will update you on the specifics. It will be placed outside the Bridge of Dee most of the time but keep an eye out as it may make an appearance at a fun day near you! We are looking for sponsors for this fantastic opportunity, if your a business and you want some cheap advertising please feel free to get in touch as any sponsor will get their name on the car! Will keep you posted on developments as they happen. If any teams would like their story featuring on our blog, please email us at contact@motoscape-rally.co.uk and we can discuss. Good luck with the fundraising, and stay tuned for our blog coming soon on fund raising ideas.